The International Fiscal Association (IFA) is the leading non-governmental, international organization dealing with tax matters. IFA has more than 12,500 members worldwide in 111 countries, of which 68 have national branches. 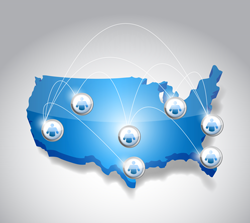 The USA Branch is one of the largest IFA branches, with nearly 1,000 members, divided into 17 regions. IFA USA provide its members the opportunity to not only keep up to date on current issues and planning techniques, but also to meet experienced tax experts from other countries, to strengthen professional relationships, and to rekindle friendships. Join today and start taking advantage of a world of networking and other Membership Benefits that IFA has to offer.